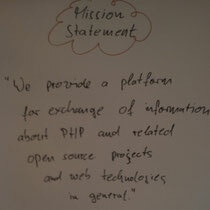 PHPucEU 2010: On the flip chart: 1st version of mission statement. To provide a platform that will enable the exchange of information about PHP and related web technologies and Open Source projects. 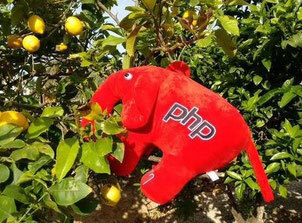 PHP Unconference Europe will be a communication platform for PHP enthusiasts from Europe and the rest of the world. It will be based on the well established concept of PHP Unconference Hamburg.